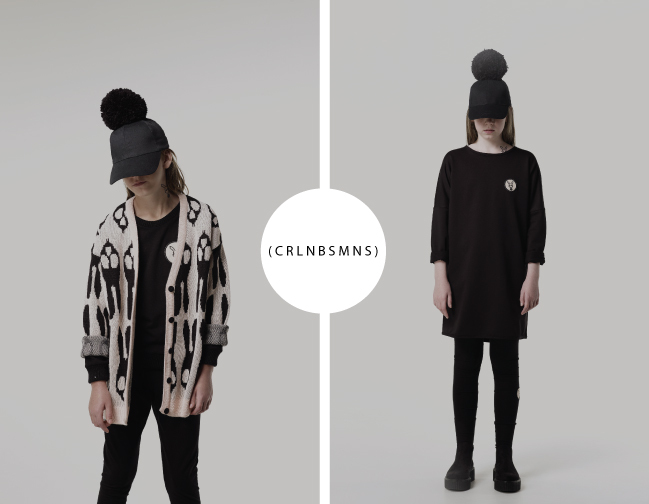 One of my favorite new brands that I've recently stumbled upon (aka I stalk on instagram) is ( C R L N B S M N S ), on point and deliciously dark for kids. 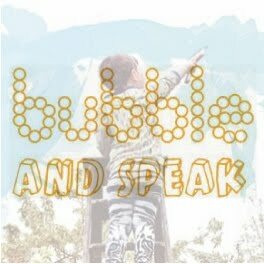 A relatively new brand itself, it has already left quite the mark in the kid's fashion industry. 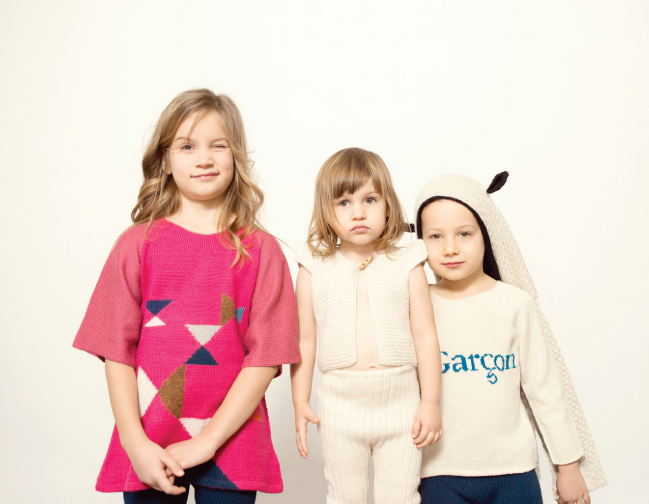 Known for its signature knits, lack of color, and graphical elements, this is one designer that likes to push the boundaries when it comes to a more traditional market like kid's wear. 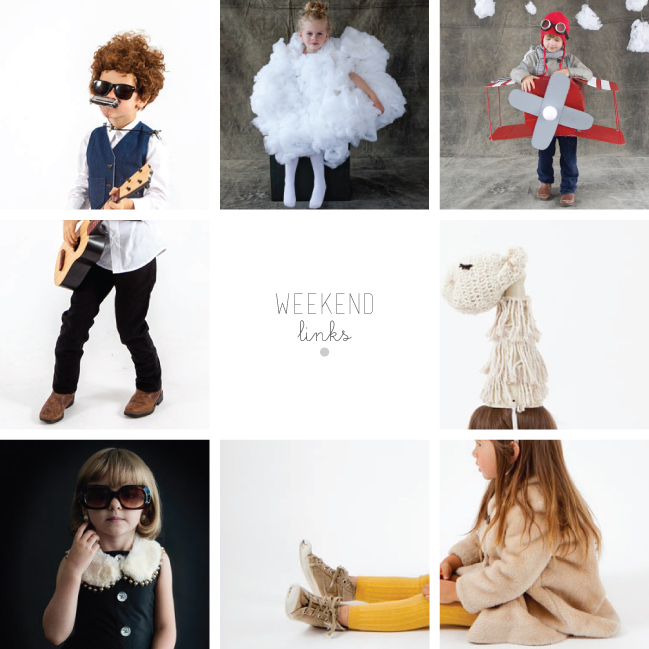 Blurred lines between what's for girls and what's for boys, I only wish they carried stuff in my size! 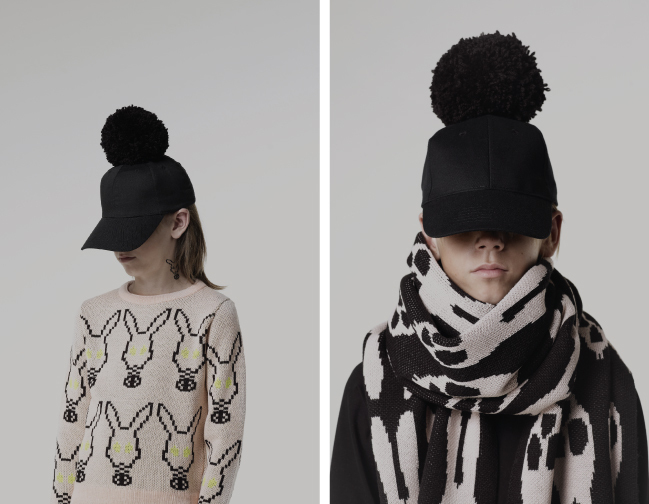 And this season's signature skull bunny, just perfect! all images via Oh Happy Day! 1 / The grooviest of icons, Bob Dylan, complete with a blues blaring harmonica and rocking guitar! 3 / Up in the air... it's a bird, it's a plane... it's well, actually it is an airplane! 4 / Most original award certainly goes to this little lama right?! 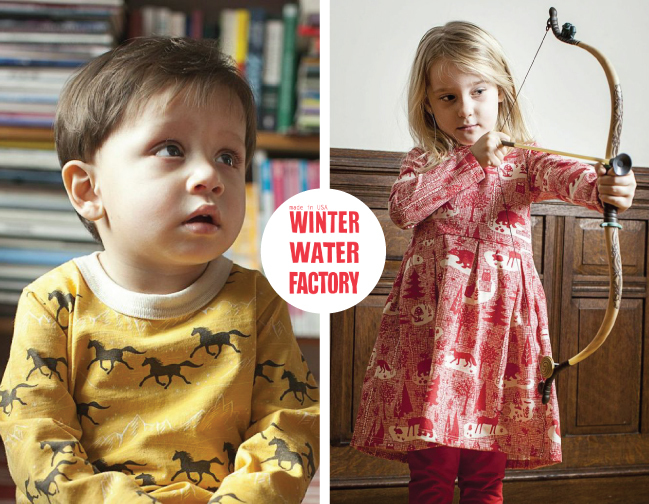 Winter Water Factory has hands down, some of the best prints out there in the kid's fashion scene. A mixture of linear conversational prints and geometric 70's inspired florals in bold colors take center stage this season. 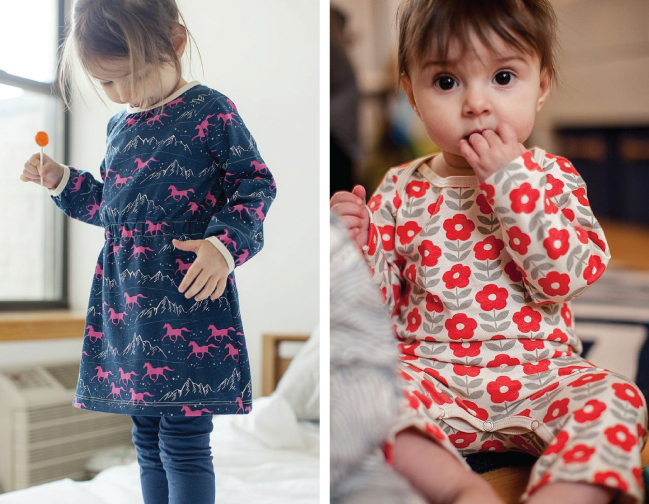 Printed on 100% organic cotton, the softest hand feel can be expected with every classic design of theirs. 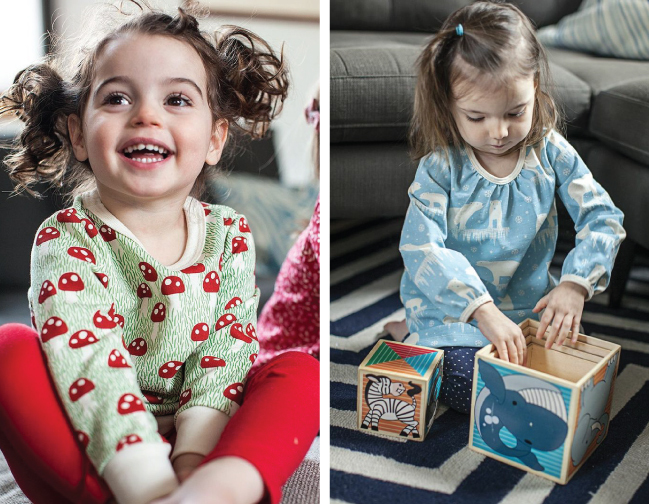 Not to mention that with all their products made locally in Brooklyn, your little one can look cute while helping the environment and that's just lovely! My favorite print this collection has to offer (though it was hard to chose) is probably the galloping horses because it just strikes an adventurous chord with me and can easy be worn by either gender. Which is your favorite if you dare chose?! 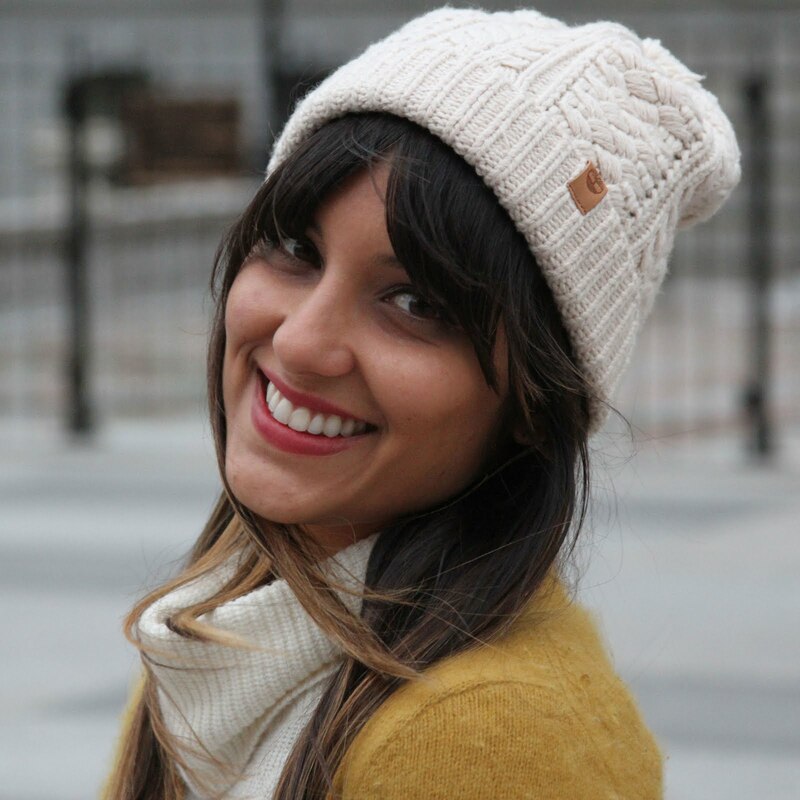 Let's jump right into autumn fashion with one of my personal favorite brands, Oeuf! 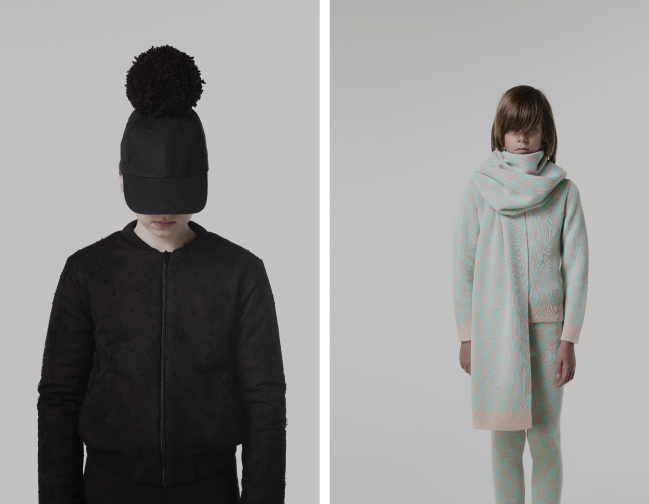 Known for it's cozy knits that play on that fine line between sensible and stylish, this season's collection makes no exception. Furry animal friends make their presence known throughout with everything from subtle accents to full blown ears and tails. An earthy color palette is greeted with bright pops of magenta, rich blues, and mossy greens. The ever present NYC influences (which I adore!) are still present, but this season also injects a healthy does of graphic tops in an array of languages for those world travelers. To say I wish I could fit into some of these pieces myself is the least... oh sigh!